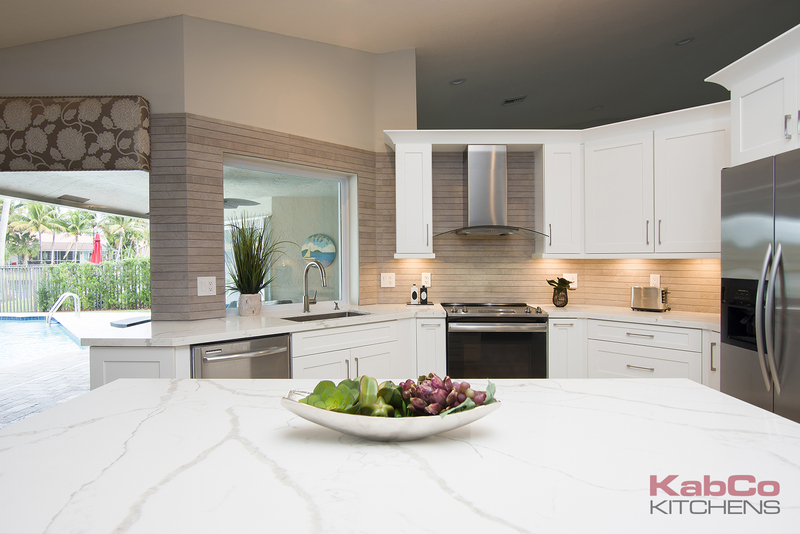 We highlighted this room with dramatic Calacatta Quartz Counters, timeless White Shaker Cabinets and complimentary grey wood-like tile backsplash. 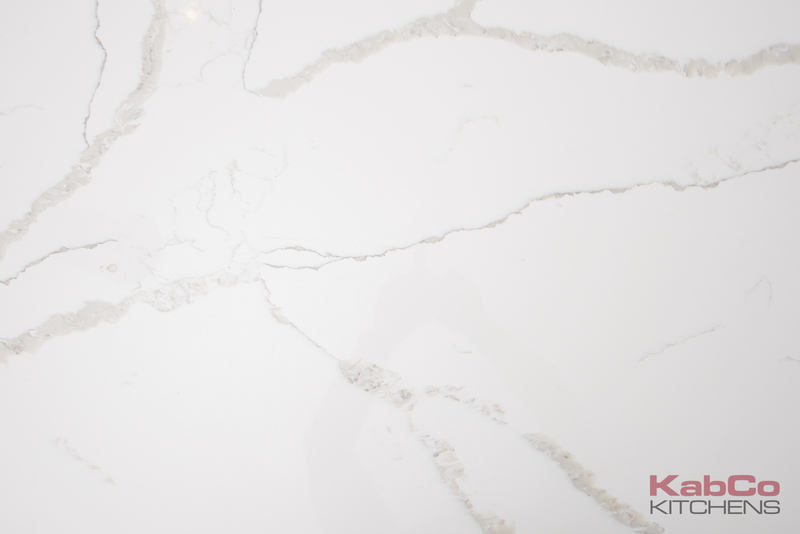 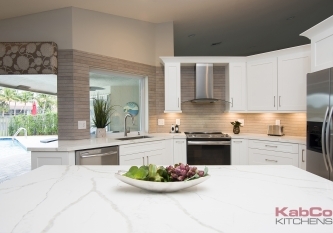 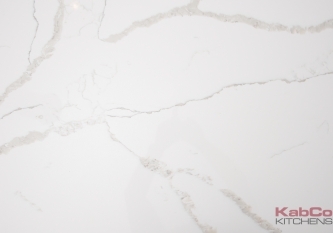 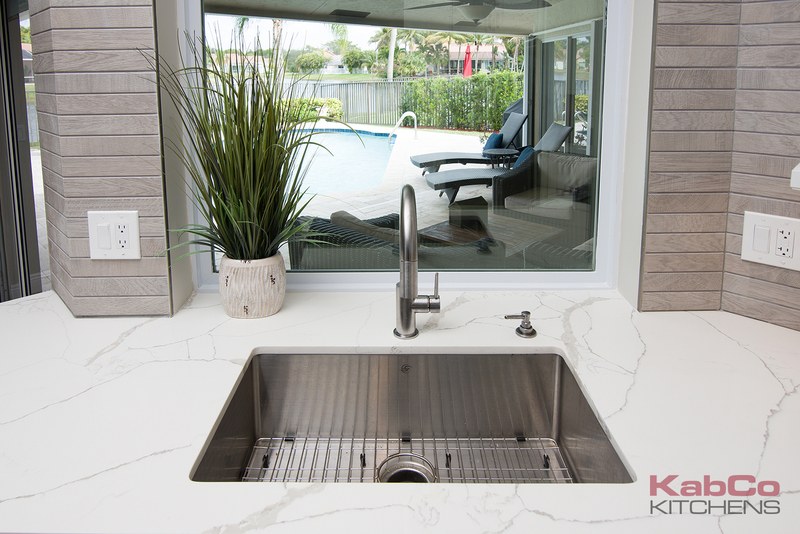 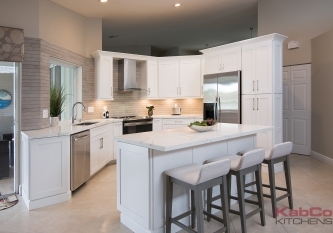 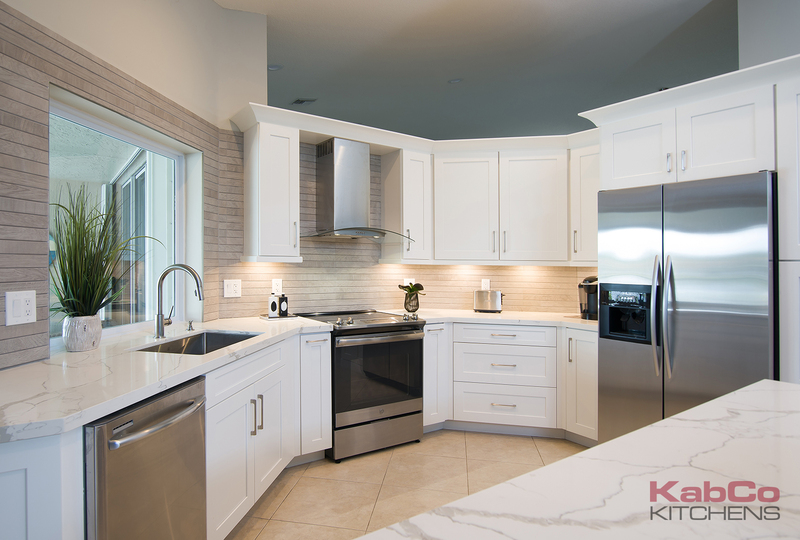 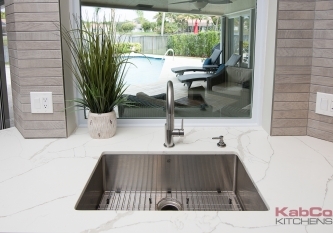 This polished design accents the beautiful Calcatta counters with its unstructured veining. 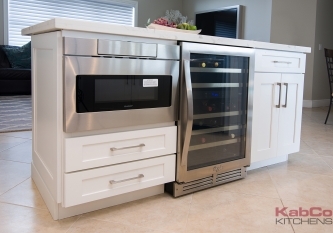 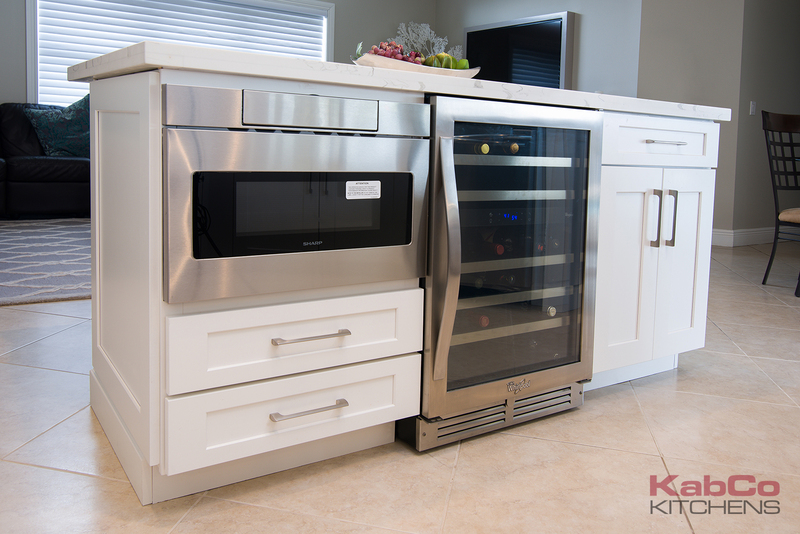 A functional 6 foot island houses a microwave drawer and wine cooler while providing comfortable seating for three. 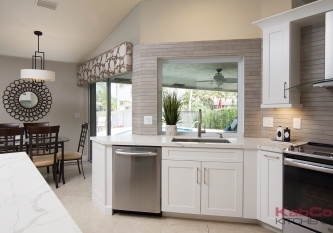 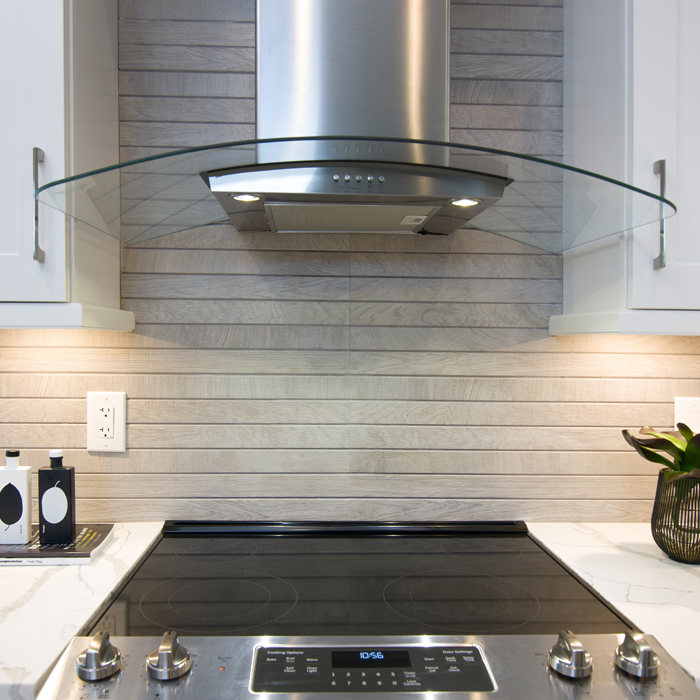 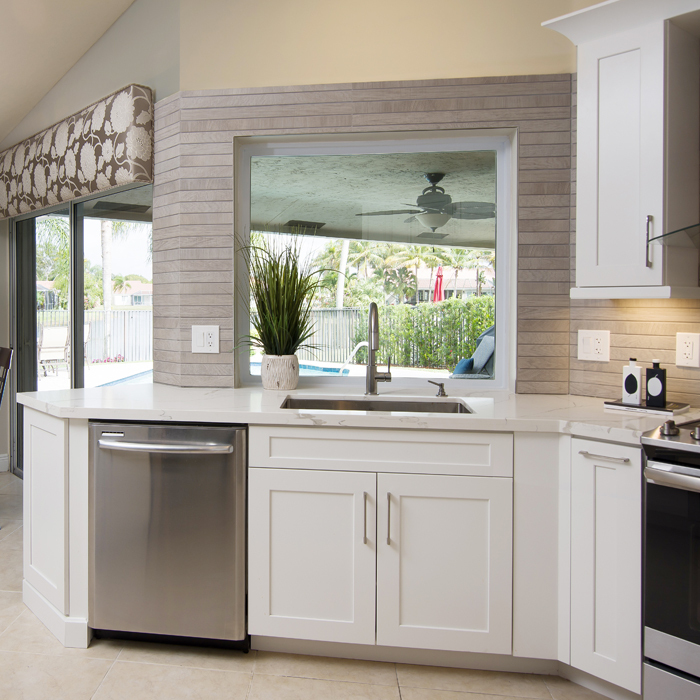 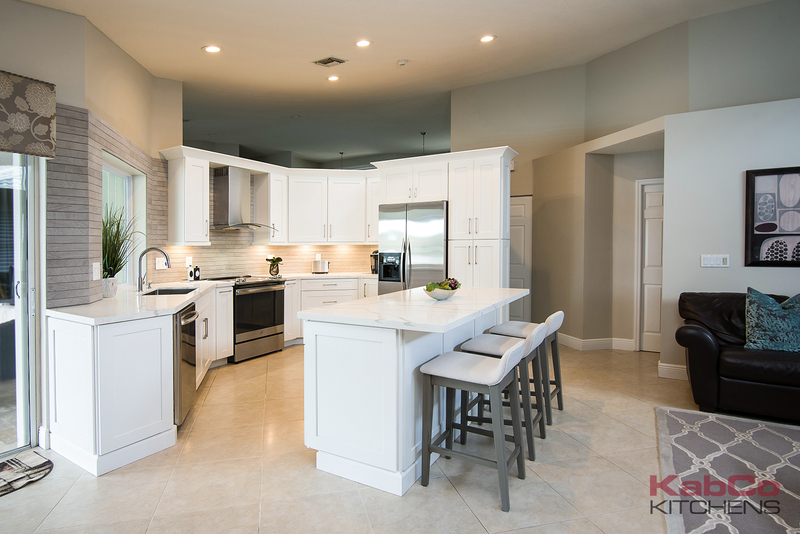 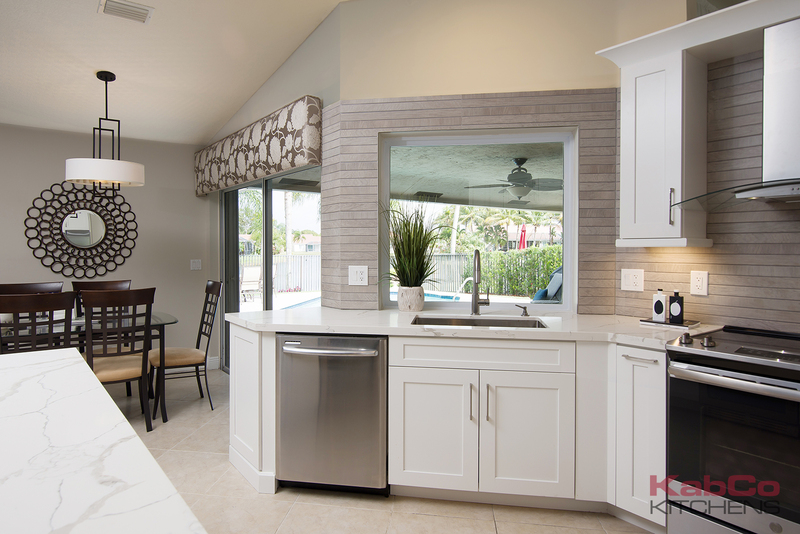 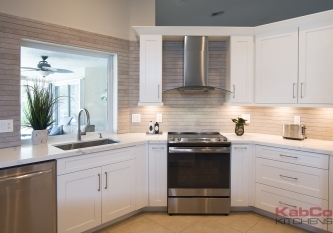 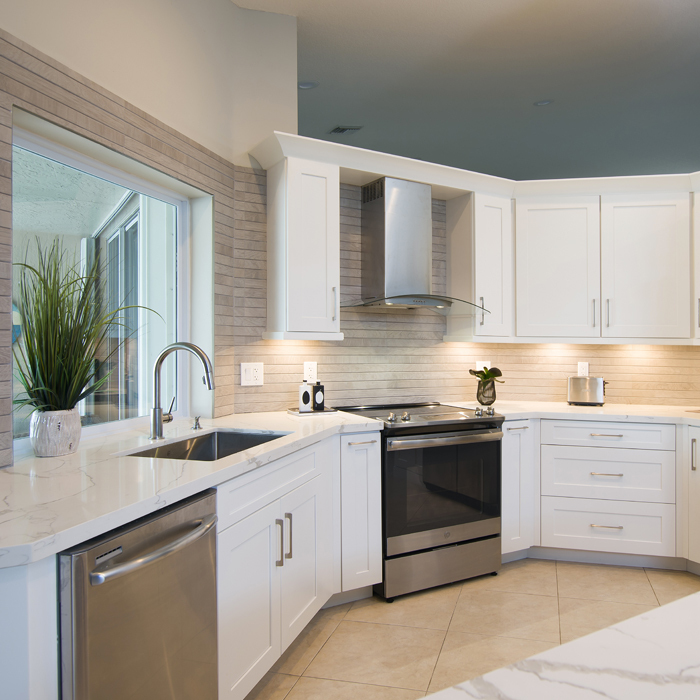 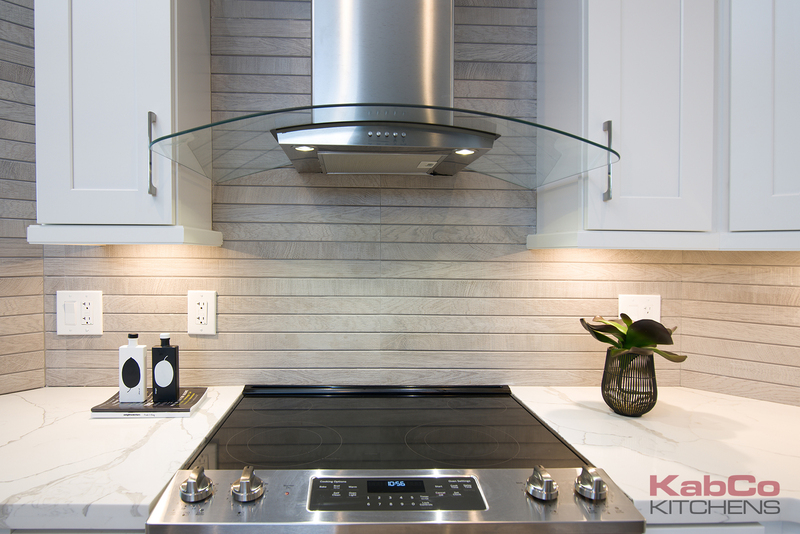 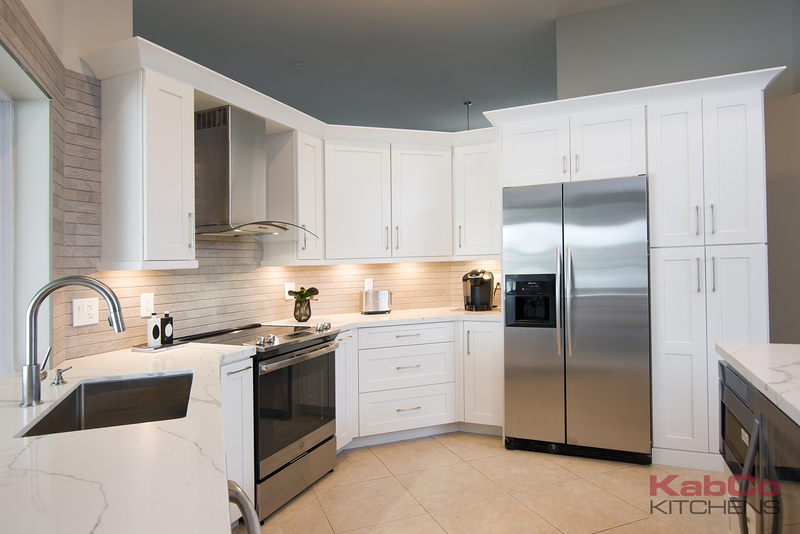 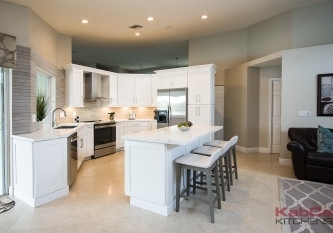 Brushed Nickel hardware and Stainless Steel appliances complete this fresh new look.